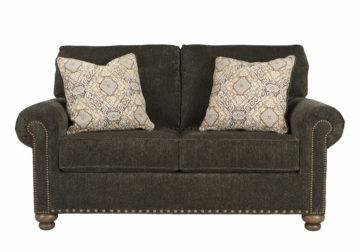 Everyone can have the best seat in the house with the Stracelen loveseat. 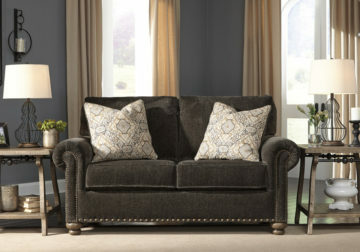 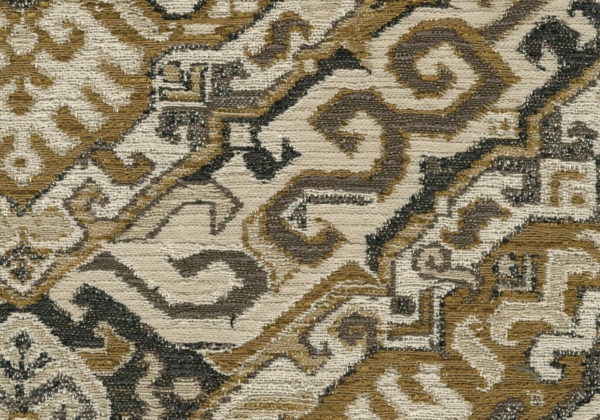 Nailhead trim puts the finishing touches on the traditional roll arms you love. Reversible seat cushions with high-pile chenille fabric keep your loveseat feeling plush. Old world-inspired jacquard pillows add another layer of comfort. Turned feet in burnished light brown finish show that style and quality flow from top to the bottom.